How Can a Company Benefit from Full-Service vs. DIY Webinar Delivery? We totally get it. Trying to put together a successful webinar can be some serious hard work, not to mention time-consuming and complicated without the right partner or tools! While there are myriad providers out there in the webinar world, they are not all created equal. They range from basic do-it-yourself setups to fully managed webinars. So, when you look to join the 62% of marketers already using webinars, you should be well-acquainted with what you need before choosing a provider for your next virtual event. Ready to learn more? 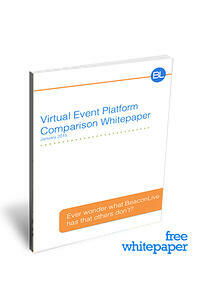 Download this white paper on webinar providers to find a vendor that can meet the needs of your next virtual event. Simply fill out the form to access your copy now!